It wasn’t the ending that Fairleigh Dickinson wanted or envisioned, but was it really the end? The top-seeded Knights lost back-to-back matches and found themselves eliminated from the 2013 NEC Tournament halfway into the first day of the two-day, double-elimination event. The early exit also put FDU’s NCAA Championship fate in jeopardy, meaning the former two-time National Champion and nine-time Final Four participant could miss out on the national tournament for just the second time in program history. Fortunately for Fairleigh Dickinson, the NCAA Committee gave Michael LoPresti’s Knights a chance at redemption. “This selection is a new life,” exclaimed LoPresti. Now that they snuck into the field, however, the Knights are focused on one goal. “We have a resilient group of players and we know from experience that anyone in the field has a chance to bring home the big trophy,” said LoPresti. The Knights last brought home that hardware in 2010 when they topped Nebraska, 4 to 3, in the best-of-seven baker national title tilt. It was during that national championship run that a rookie named Danielle McEwan emerged as a rising star on the national scene. Occupying the anchor spot for a lineup that also included All-Americans Erica Perez, Tracy Ganjoin, Sara Litteral and Joely Carrillo, McEwan went onto to capture the 2010 NCAA Tournament MVP award. Since that thrilling conclusion to what was fabulous freshman season, McEwan has continued to star. She has thrice won the NEC Bowler of the Year award while twice capturing first place at the Team USA Trials. Last Saturday, she became the first-ever athlete to earn four consecutive selections to the All-NEC First Team. The only thing that McEwan hasn’t accomplished since her rookie campaign is helping her team secure another second NCAA title. Fairleigh Dickinson was denied at the doorstep last April, falling to Maryland-Eastern Shore, 4 to 2, in the NCAA Championship final. “A year ago, we were in the championship match and now we are the last team getting in,” said LoPresti. The Knights may have been the “last team in,” but they are also only one of three in the field to have won multiple NCAA crowns (UMES, Nebraska). LoPresti certainly wouldn’t mind an outcome similar to the one in 2010. 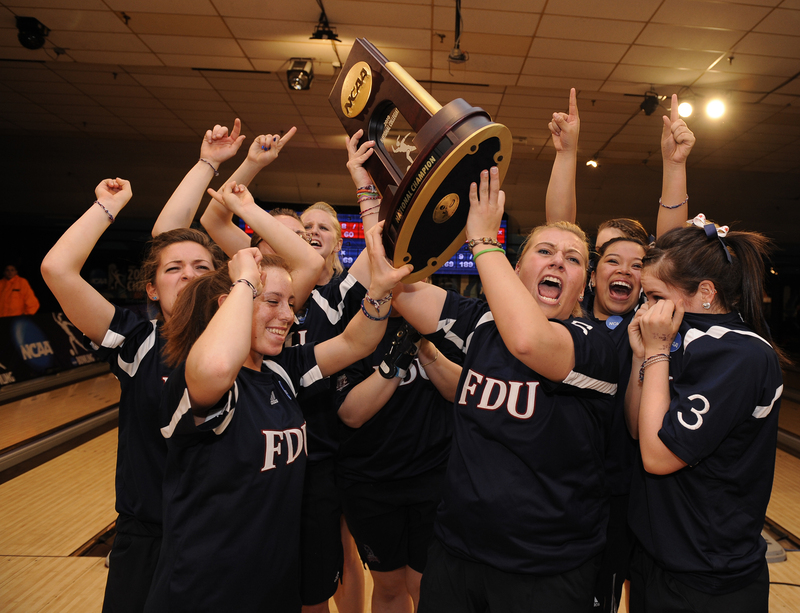 There are only eight teams left standing in NCAA bowling, and Fairleigh Dickinson is one of them. It didn’t come easy, but the Knights will get their chance after all. The 2013 NCAA Bowling Championship will unfold from April 11-13 at Super Bowl Lanes in Canton, MI. 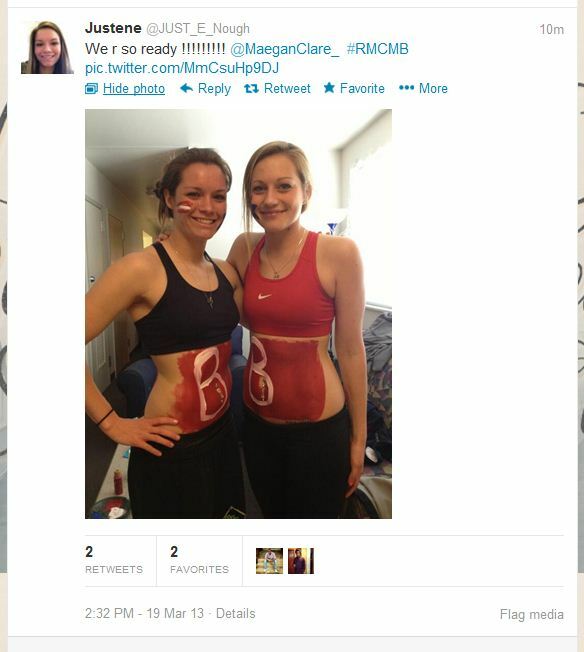 They have been dreaming about an opportunity to storm the court at Quinnipiac for quite some time. The men’s hoops team nearly rewarded the Bobcats’ Faithful in 2010, but Dallas Green’s big block allowed Robert Morris to escape Hamden with a 52-50 victory in the NEC Championship Game. 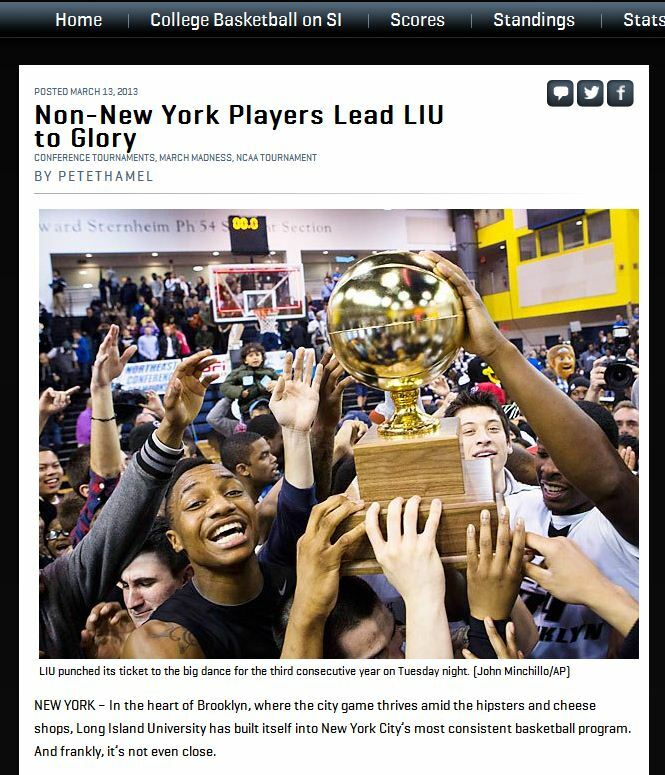 So fast forward to March 17, 2013 with Quinnipiac, a NEC member since 1998, still in search of its first NEC Tournament title (men’s or women’s). This time, Tricia Fabbri’s Bobcats had the prime opportunity to send their home crowd into a frenzy while sending the program to the NCAA Division I Big Dance for the first time ever. They didn’t disappoint. 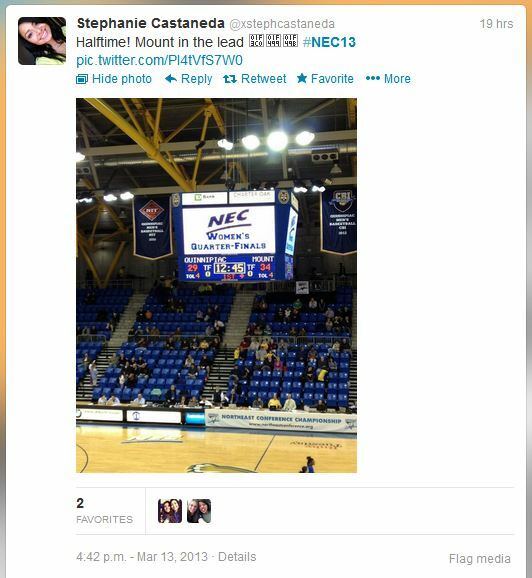 Quinnipiac defeated Saint Francis U by a NEC Tournament record margin (72-33), and the #BobcatMadness ensued. Re-watch NEC Front Row LIVE! 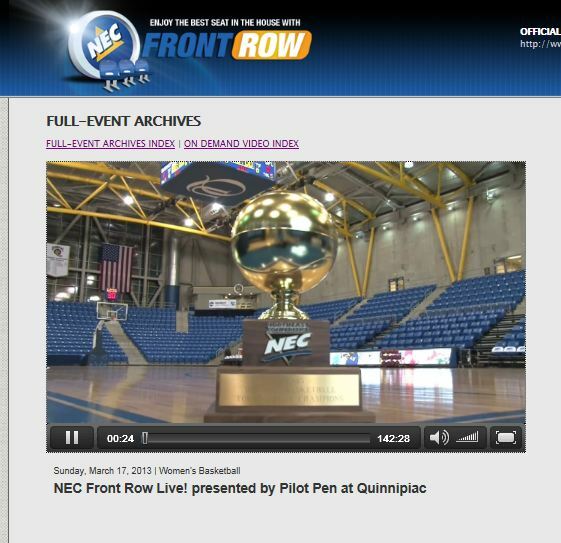 NEC Front Row was on site in Hamden for the #NEC13 WBB Title Tilt, providing wall-to-wall pre- and post-game coverage presented by Pilot Pen. Front Row personality Craig D’Amico hosted the program alongside former Seton Hall head coach Phyllis Mangina. To watch the full pre- and post-game shows and the many exclusive interviews in them, then click here. 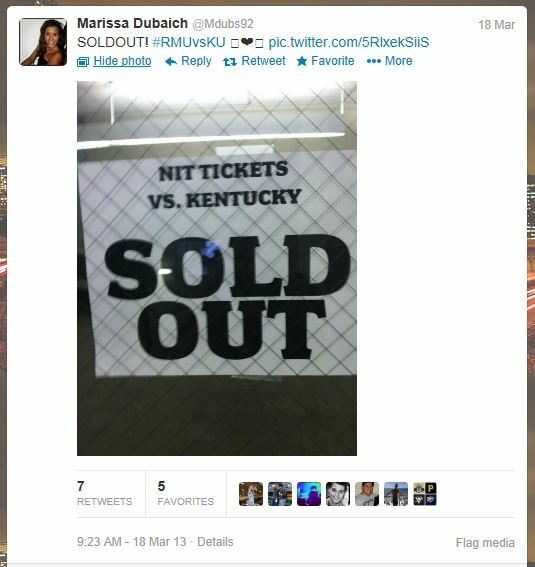 Katie wasn’t watching just any Red Flash game. 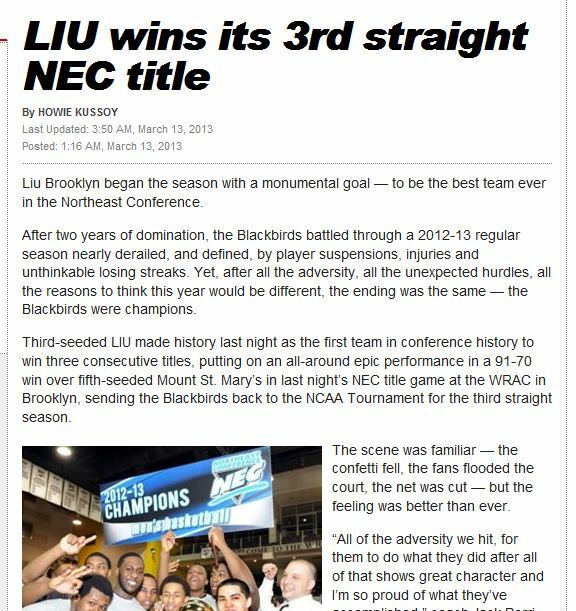 It happened to be a NEC semifinal contest that put No. 2 Saint Francis up against No. 2 Sacred Heart. If the circumstances alone weren’t enough to get her blood pumping, then the Red Flash’s performance most certainly was. Saint Francis opened the game 13-3 and never looked back on the way to an 83-67 upset victory. The Flash sank 13 three-pointers, one shy of the NEC Tournament single-game record. If Katie’s blood was pumping during this one, what will it be like come Sunday when Saint Francis will play for a 12th NEC Tournament title and bid to the Big Dance? 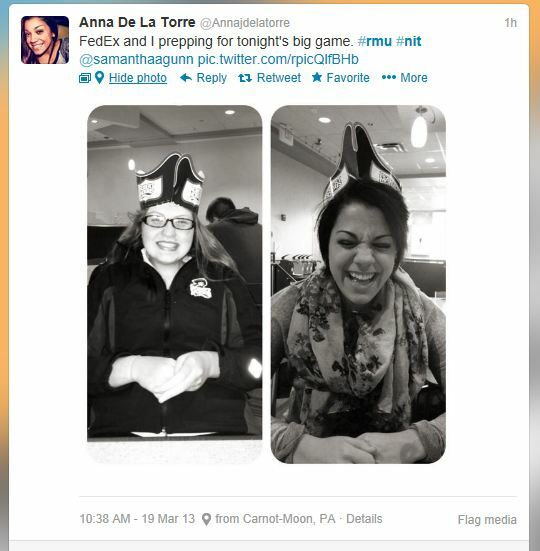 It’s not so much the words in the Tweet, but the linked Instagram Photo that put this entry over the top. One can tell that excitement was clearly building in that car at the moment the photo was snapped, but can you blame this family for their energy level? 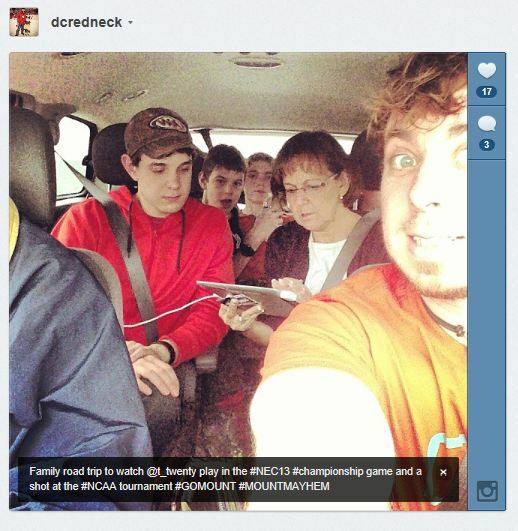 After all, they were on their way to the NEC Men’s Basketball Championship Game.